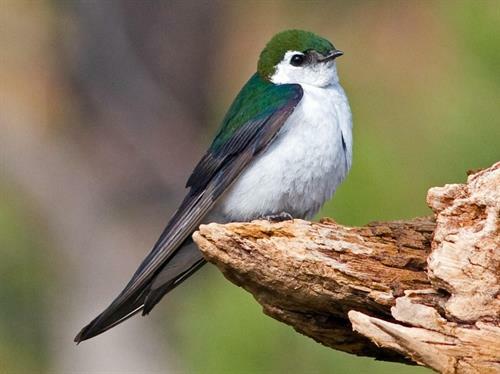 Join the Coast Fork Birders for a beginner-friendly spring bird walk. Julie Parker will lead the group looking for raptors, songbirds and waterfowl. 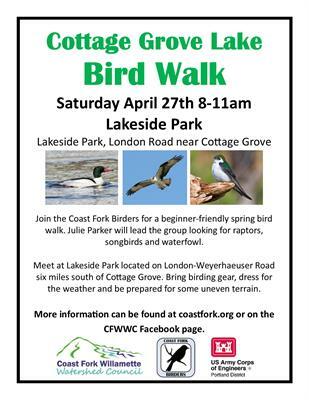 Meet at Lakeside Park located on London-Weyerhaeuser Road six miles south of Cottage Grove. Bring birding gear, dress for the weather and be prepared for some uneven terrain. More information can be found at coastfork.org or on the CFWWC Facebook page. Lakeside Park, London Road near Cottage Grove (located on London-Weyerhaeuser Road six miles south of Cottage Grove).